Linkurious Enterprise offers the possibility to publish interactive visualizations online. Published visualizations can be accessed with an URL or embedded in a Web page à la Google Maps. 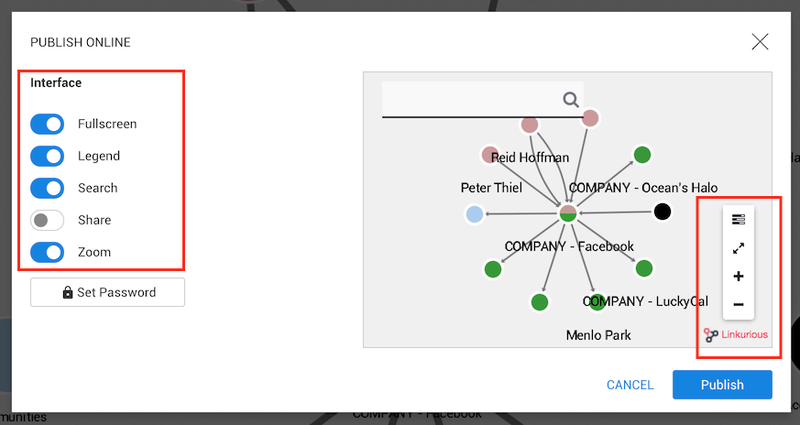 They contain a snapshot of graph data at the time the visualization is published. The visualization author can update or un-publish his visualizations anytime. Anyone can explore these visualizations interactively, enabling easier collaboration around graph data. The visualization is now available online! We can share the link or integrate it into a web page by adding the script of the web widget into the source code of a web page. 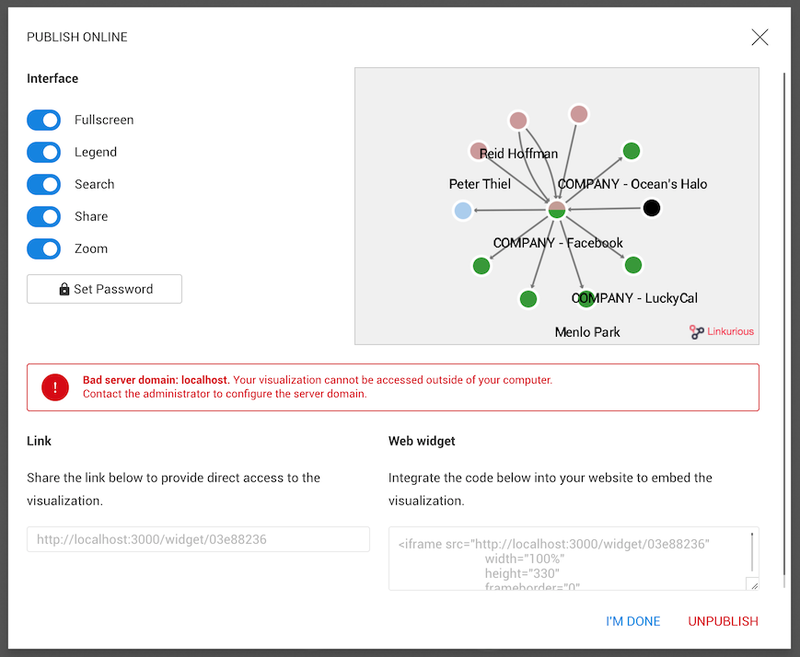 If the server that hosts Linkurious Enterprise is accessible via intranet only, published visualizations will be available within the organization and won’t be available outside.